Elattuvalapil Sreedharan who hails from Karukaputhoor in Palakkad district of Kerala, the man behind most of the major construction in India. E. Sreedharan was born in a family of Palakkad district, Kerala. His family hails from Karukaputhoor in Palakkad district of Kerala. After attending Basel Evangelical Mission Higher Secondary School there he studied at the Victoria College in Palghat and then graduated as an engineer from the Government Engineering College, Kakinada. For a short tenure, he worked as a lecturer in Civil engineering at the Government Polytechnic, Kozhikode and an year at the Bombay Port Trust as an apprentice. 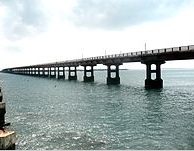 In 1963, a cyclone washed away parts of Pamban Bridge that connected Rameshwaram to mainland Tamil Nadu. The Railways set a target of six months for the bridge to be repaired while Sreedharan's boss, under whose jurisdiction the bridge came, reduced it to three months. Sreedharan was put in-charge of the execution and he restored the bridge in just 46 days. The Railway minister's Award was given to him in recognition of this achievement.. 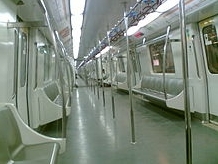 In 1970, as the deputy chief engineer, he was put in charge for implementation, planning and design of Calcutta metro, the first ever metro in India. Cochin Shipyard launched Rani Padmini, the first ship it built, when he was its Chairman and Managing Director (CMD). He retired from Indian Railways as Member Engineering in 1990. Sreedharan also has an advisory board slot at a new Foundation for the Restoration of National Values. Business tycoon Ratan Tata and a former chief justice of India are serving, too. The foundation aims to "bring in good values in all areas of national life, to cleanse corruption in high places," says Sreedharan. Though he retired, the Government needed his services and he was appointed the CMD of Konkan Railway on contract in 1990. Under his stewardship, the company executed its mandate in seven years. The project was unique in many respects. It was the first major project in India to be undertaken on a BOT (Build-Operate-Transfer) basis; the organisation structure was different from that of a typical Indian Railway set-up; the project had 93 tunnels along a length of 82 km and involved tunneling through soft soil. The total project covered 760 km and had over 150 bridges. That a public sector project could be completed without significant cost and time overruns was considered an achievement by many. He was made the managing director of Delhi Metro and by mid-2005, all the scheduled sections were completed by their target date or before and within their respective budgets. Sreedharan was given the sobriquet of Metro Man by the media. In 2005, he ws awarded the Chevalier de la Légion d'honneur (Knight of the Legion of Honour) by the government of France. 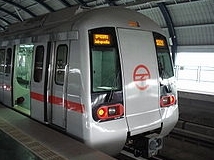 He had announced that he would retire by the end of 2005, but his tenure has been extended by another three years to oversee the completion of the second phase of Delhi Metro. 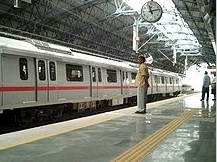 In July 2009, Sreedharan resigned as the managing director DMRC, taking moral responsibility for the collapse of an under-construction bridge (at Zamrudpur near Amar Colony) that killed five people. However, Delhi's Chief Minister Sheila Dikshit rejected Sreedharan's resignation, and he withdrew it a day later. 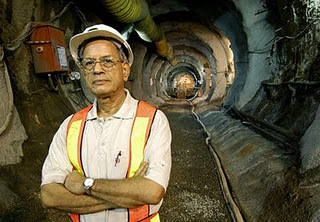 Sreedharan stated after his withdrawal that he will ultimately be quitting from his position but only after the completion of the Phase II of the Delhi Metro Project.